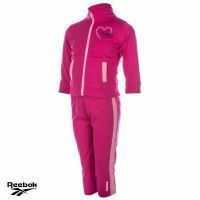 Description: Infants Reebok Pink Tracksuit . Features the Reebok logo on the front chest. Includes both pants and full zip top. Description: Infants Reebok 'PES' Tracksuit . Features the Reebok logo on the front chest. Includes both pants and full zip top. 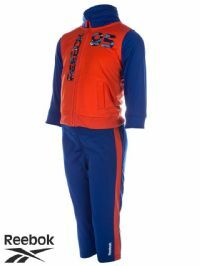 Description: Infants Reebok 'PES' Tracksuit. Features the Reebok logo on the front. Also comes as a pant and full zip top set. Description: Junior Reebok ‘Core Woven’ pant. Features a Reebok logo on the front, as well as two side pockets and a netted interior lining. 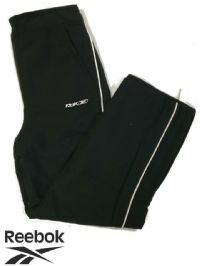 Description: Junior Reebok track pant. Features a Reebok logo on the front and side leg, as well as two side pockets and a netted interior lining. Description: Junior Adidas ‘S Girard’ track pant. Features an Adidas logo on the front and three stripes down each side. Also includes two side pockets and elastic bottom cuffs. Description: Girl's Nike Great Joggers. Description: Junior Adidas Originals tennis skirt. Made in association with Tennis legend Steffi Graf and includes a small multi coloured graphic in the corner. 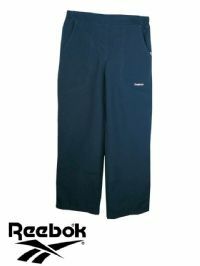 Description: Kid's Navy Reebok Athletic Track Pants. Description: Junior Reebok ‘Disney Sleeping Beauty’ skirt. Features a Reebok logo on the front, as well as two side pockets. 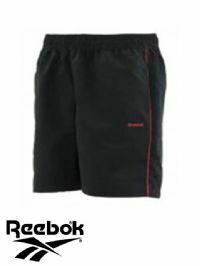 Description: Junior Reebok 'CR Woven' short. Features a small Reebok logo on the front, as well as two side pockets and a contrast red piping down each side leg. 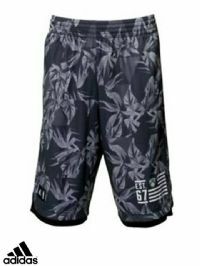 Description: Youth Adidas 'Brooklyn Nets' NBA basketball shorts. Features the Adidas logo on the front and also has side pockets with a Camouflage design. 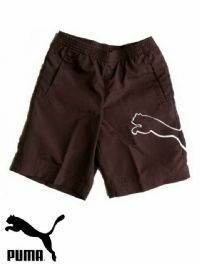 Description: Kid's Navy Blue Shorts with front and back pocket. Also features logo on the front and embroidered graphic on the back. Description: Infant’s Reebok ‘ES SJ’ set. Features a Reebok logo on the front of the top. 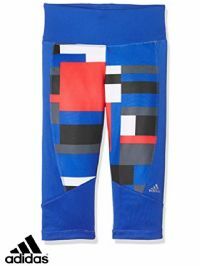 Description: Youths Adidas 'YB AA Blo Pant'. Features the Adidas logo on the lower front leg. The fleece deign makes this a comfortable pant. Description: Young Girl's Adidas Tight Fit 3/4 Pants in a multi colour combination. Description: Junior Nike ‘Sportswear’ track pant. Features a Nike logo on the front, as well as two side pockets. Also includes a back pocket and a netted interior lining. Description: Junior Adidas ‘RD Knit’ pant. Features an Adidas logo down one leg and three stripes down the other leg. Also includes two side pockets. 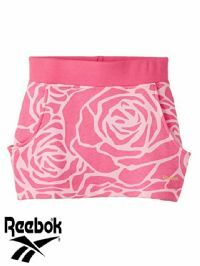 Description: Junior Reebok ‘Capri’ leggings. Features a Reebok logo on the lower leg. Description: Junior Reebok ‘Surf The Web’ knit short. Features a Reebok logo on the front, as well as two side pockets an elastic waist. Description: Junior Reebok ‘SW Woven’ pant. Features a Reebok logo on the front, as well as two side pockets and a netted interior lining. Description: Junior Adidas GL knit pant. Features an Adidas logo on the side leg, as well as an elastic waist.